Mocktails are the best way to chill without worrying about health. 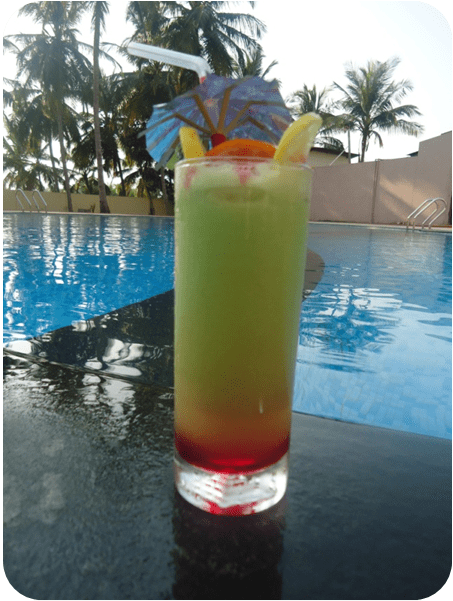 What we have this week is a classic mocktail which entices you with its pleasing colour and fantastic taste. Enjoy the compliments of your loved ones by serving them this exotic drink. Blend the pineapple juice, orange juice, mango juice, crushed ice along with Khus syrup in a blender. Pour rose syrup first into a tall glass. Let it settle at bottom. Add the blended mixture now. On top of it, add fresh cream.